Welcome! We hope that you will enjoy all the life changing teachings from Dr Joel Wallach on our website. We hope that you will take notes on what you read, hear and see, and watch the videos again and learn the knowledge that not only can benefit you, but also all those people that you know (family, friends, co-workers, etc.) that can benefit from Dr Wallach. As you learn about the different diseases that Dr Wallach teaches about, write down the names of all these people, so that we may reach out to all of these people who are suffering and let them watch these same videos here that you have watched. Now, in 2018, we just keep researching and learning more and applying what we learn. Always tweaking (making mid-course adjustments) and steering our course as we keep searching and finding more truths and validating various sources. But we don't diagnose or treat anybody, as we are not the doctor, the doctor is Dr. Wallach (and the other Naturopath Doctors working his teachings), so we give all the credit to whom it is due. As Doctors, they have already performed the diagnosis of all the common diseases, and they tell us what they recommend. As a helpful tool to those that don't have the time and patience to correlate the different diseases, we have grouped together the videos and information in each one's specific disease web page. So our work is represented here so that you too can listen to the Naturopath Doctors that we have researched - especially the pioneer who made these great discoveries: Dr Joel Wallach. Then, you will have more information to make the best decisions in choosing a direction for an illness. See Doc Wallach Live! Dr. Wallach spends 300 days a year on the road presenting his acclaimed lecture "Dead Doctors Don't Lie". According to Dr Joel Wallach, we need all 91 Essential Nutrients. Our bodies cannot create, or manufacture an essential nutrient, they must be imported into the body. We cannot we get all of them from the "four food groups", especially the 60 essential minerals. Genesis 1:28 and Genesis 9:1 "replenish the earth" - God told Adam and Noah to replenish the Earth. Since our ancestors in the late 1800's stopped replenishing our earth (by not putting wood ashes - minerals - back into our soil) for a little over a hundred years now, and our farmlands being progressively leached of minerals, and that is why we have all these deficiency diseases. God takes care of his people and through Dr Wallach he provided us the lost nutrients though the one and only company that Dr Wallach founded - Youngevity. We now make up for that terrible loss by "replenishing our bodies" by putting back into our bodies the minerals and nutrients that we would have had if the millions of acres of farmland weren't leached of essential minerals by growing crops on the same soil every year, and only putting 3 minerals back in - Nitrogen, Phosphorous and Potassium. That's only a fraction of what we need, so we give our bodies the missing nutrients (especially the minerals, as plants can't make them), and we supplement in a Whole-istic method with all of the 91 Essential Nutrients. Most importantly adding the minerals (60 essential minerals) that are all COLLOIDAL MINERALS (Plant Derived) found in Dr Wallach's Youngevity supplements. About us, our website and our business: I have been a Personal Trainer and a Researcher specializing in helping seniors get fit and healthy for 20 years. I thought I just about knew most that one needed to know about nutrition - I even wrote a fitness book in 2010 which contains a chapter on eating for fitness and fat loss (weight loss). I just always keep learning more. After mastering fitness and weight loss nutrition, I learned the value of organic food, raw live food with enzymes, juicing and non-GMO's in the last few years. Now, thanks to Dr Wallach, we learned about sweating and exercise and how when sweating we lose all nutrients (including minerals and trace minerals), and we learned that the food we eat is basically devoid of many essential minerals. So now we learned to make up for that loss, so we "replenish" and supplement - properly, not with the common metallic minerals that we used to waste our time taking that have only 10% or less absorption (only 3-5% over age 50), but with the best plant derived colloidal minerals in supplements that have 98% absorption, as with the Youngevity brand that we use and recommend. One of the initial benefits we have found is that we don't have any food cravings anymore, as now our minerals are no longer deficient (with mineral deficiencies people crave food and eat too much food too frequently, not realizing that it is a mineral deficiency that they feel - the solution is to supplement the essential minerals and then the cravings are gone, a super key to losing weight (body fat) and preventing weight gain and Yo-Yo dieting). I used to suffer from gravel neck - when rotating my head my cervical vertibrae would "grind", but that has dissapeared. My gums were very sensitive to hot and cold, now that is gone. An old injury (a radius fracture from 12 years ago) "clicked" when exercising performing bicep curls is now gone. I had a tear in my Inguinal Ligament - hernia, and it has been sealed up since September 2014 - wow have my prayers been answered! Also, we are no longer light sleepers with insomnia as there is no longer a colloidal calcium deficiency - I don't remember ever sleeping as soundly as this. It is extremely important to get quality sleep and rest. My wife Maggie has been in the Wellnesss business since 1980 specializing in Massage Therapy, and has been working with me with fitness for the last 14 years. Together we have been researching wellness for quite some time and we feel we are blessed to be able to share Dr Wallach's life changing information with everyone and everybody (and every ones body)! 1) SUBTRACT: Eliminate The 10 Bad Foods and increase Absorption, eliminate toxins, eliminate as much Common Stress as possible, and eliminate all controllable Chronic Stress. Also avoid wear and tear on your body and especially the joints. 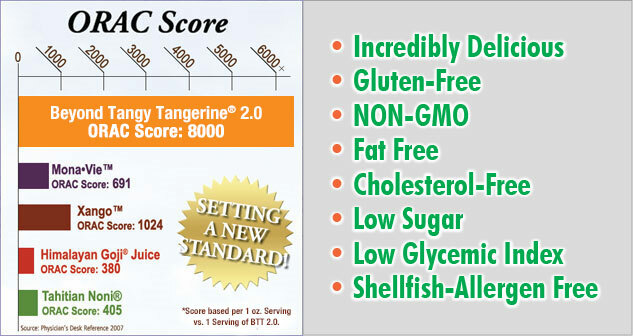 2) ADD: Supplement With all 91 essential nutrients plus Dr Wallach's "Secret Sauce"
The best, most advanced and complete package that Dr Wallach has formulated and recommends that contains the 91 Essential Nutrients in the basic "Healthy Body Start Pak" (Beyond Tangy Tangerine 2.0 has ORAC over 8000). Special Paks have been formulated for certain needs that has the "Secret Sauce" added to it that Dr Wallach refers to in the Benny Hinn interviews. For example the Healthy Body Blood Sugar Pak includes the Slender FX Sweet Eze as the "secret sauce", as this Pak is designed to support and promote the bodies ability to maintain healthy blood sugar levels. 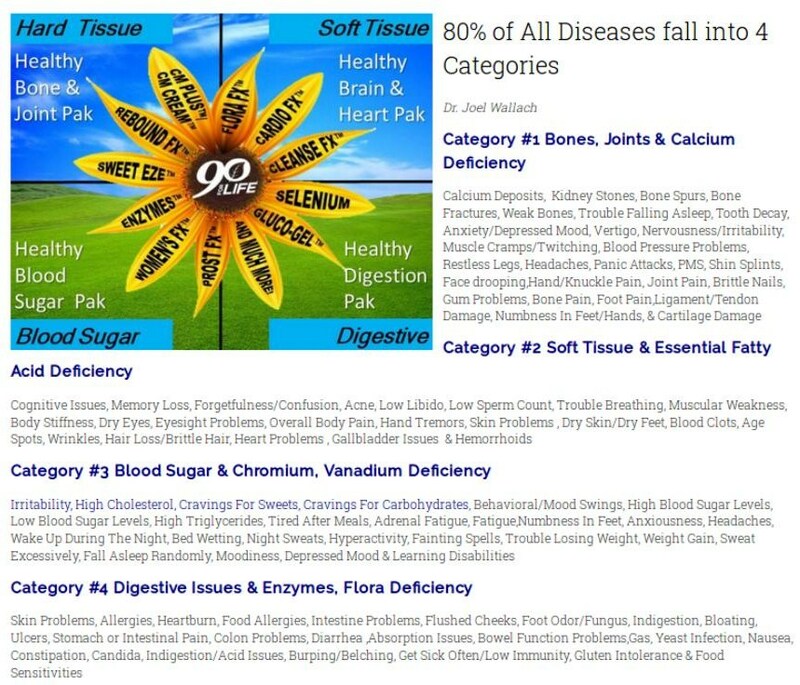 For lower budgets Dr Wallach has formulated other basic 91 Essential Nutrient containing packages such as the Classic 90 Pak, the Tropical 90 Pak, and the BTT Basic 90 Pak. The "Secret Sauces" can be added separately to any of these Paks. Email us - we will help you select just what you are looking for and within your budget, and help you to maximize all ways get the most benefit for your money - View all Paks click here. Come on - Let's go! Join us! As a veterinarian, Dr Wallach learned with animals many diseases are prevented and reversed by supplementing their food with nutrition - essential nutrients. For example with Turkeys one year many of them all died from the same cause - ruptured aneurisms. The next year Livestock veterinarians had them add copper to their diet and the aneurisms ceased (listen to this on Dr Wallach's "Dead Doctors Don't Lie" audio)! He then realized, since this works with animals - why not with people? Dr. Wallach's vast research has proven without a doubt that we all need the 91 Essential Nutrients every single day. Hundreds of thousands of people have had their health restored by taking Dr. Wallach's advice and products. 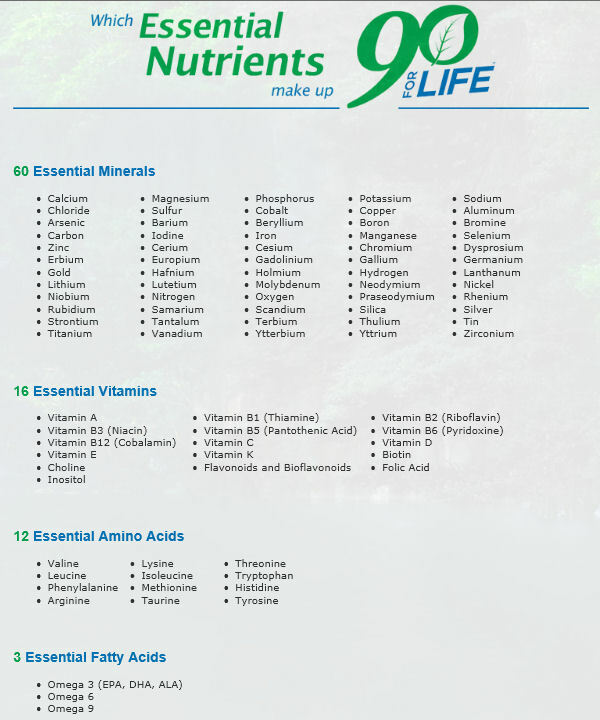 This is just a small list of Nutritional Deficiency Diseases that can be helped or even eliminated in many cases...with our 90 For Life Essential Nutrients. For OPTIMAL health and longevity, we need all these essential nutrients, DAILY, for best assimilation to the cellular level. Even though they all add up to 91, we "round it off" to 90 essential nutrients. Without these 90 essential nutrients daily, our bodies go out of balance and results in disease. Unfortunately, we do not get these 90 essential nutrients from our food anymore. For well over a Century now our farm land soil has been depleted progressively so that now we only get a few minerals from our food, resulting in huge deficiencies. Therefore we need to supplement. Dr Wallach was a brilliant veterinarian and knew how to cure animals of the same diseases that we humans get. Even dog food has more nutients in it than food that humans eat - Science Diet has over 40 minerals! Dr Wallach teaches how to prevent and reverse these diseases through his teachings and how to support and promote our health with products from the company he founded - Youngevity. Exercise is Positive Stress - the body adapts and the tissues become stronger ( as long as it is performed correctly and with proper timer and rest for adaptation ). We are strengthened by Positive Stress. However, Negative Stress weakens our bodies and impacts the health of our bodies in a negative adverse way. When Negative Stress is countered by our bodies built in defense mechanism, we have no symptoms and we remain healthy. When Negative Stress is too powerful for our bodies defense mechanism, the strength of the stress breaks through our bodies defenses and our bodies system is destabilized and our bodies compensate and generate symptoms. Forms of Negative Stress are Common Stressors (such as pollution, bad food, malnutrition, weather, etc. ), Mega Stressors (such as reactions from loud noises, intense hot and cold, etc.) and Chronic Stressors ( long term exposures to heat, radiation, etc.). Hence, a strong immune system is required for our bodies to handle stress, with all the 91 essential nutrients daily which is complete Clinical Nutrition, or "Wholistic Nutrition" - giving our bodies all of the nutrients including co-factors to support and promote the health and structure of the bodies defense mechanism - all the raw materials it needs. Take Advantage Of The Monthly Free Shipping Option for All Distributors!